Adventures in Analytics and Visualization, blog by Vivek Patil. Analytics Vidhya blog on development of analytical skills, analytic industry best practices, and more. Ann Maria’s Blog, by Dr. AnnMaria De Mars, President of the online statistics education company The Julia Group. Business. Statistics. Technology, by Galit Shmueli, Professor of Statistics at Indian School of Business, Hyderabad, India. Beyond the Box Score A blog using statistics to analyse the game of baseball. Blog About Stats By Armin Grossenbacher, a network for professionals mainly of statistical institutions. CoolData By Kevin MacDonell on Analytics, predictive modeling and related cool data stuff for fund-raising in higher education. Cloud of data blog By Paul Miller, aims to help clients understand the implications of taking data and more to the Cloud. Data Science 101 by Ryan Swanstrom on becoming a data scientist. Data Science London on latest trends and research in data science. Data Science Renee, by Renee M. P. Teate, on becoming a data scientist. Data Tau a list of interesting articles submitted by readers. DecisionStats by Ajay Ohri, founder of DECISIONSTATS and author of “R for Business Analytics” and “R for Cloud Computing”. DiffusePrior by Alan Fernihough, on using R in econometric research. Domino Data Lab on startups, data science, R and Python. Deep Data Mining Blog, mostly focused on technical aspect of data mining, by Jay Zhou. Edwin Chen’s by Edwin Chen, writes about math, machine learning, and data science. Facebook Data Science Blog, the official blog of interesting insights presented by Facebook data scientists. FiveThirtyEight, by Nate Silver and his team, gives a statistical view of everything from politics to science to sports with the help of graphs and pie charts. Freakonometrics Charpentier, a professor of mathematics, offers a nice mix of generally accessible and more challenging posts on statistics related subjects, all with a good sense of humor. Freakonomics blog, by Steven Levitt and Stephen J. Dubner. FastML, covering practical applications of machine learning and data science. FlowingData, the visualization and statistics site of Nathan Yau. Geeking with Greg, exploring the future of personalized information. Harvard Data Science, thoughts on Statistical Computing and Visualization. Hyndsight by Rob Hyndman, on fore­cast­ing, data visu­al­iza­tion and func­tional data. IBM Big Data Hub Blogs, blogs from IBM thought leaders. Insight Data Science Blog on latest trends and topics in data science by Alumnus of Insight Data Science Fellows Program. Information is Beautiful, by Independent data journalist and information designer David McCandless who is also the author of his book ‘Information is Beautiful’. Information Aesthetics designed and maintained by Andrew Vande Moere, an Associate Professor at KU Leuven university, Belgium. It explores the symbiotic relationship between creative design and the field of information visualization. Inductio ex Machina by Mark Reid’s research blog on machine learning & statistics. Jonathan Manton’s blog by Jonathan Manton, Tutorial-style articles in the general areas of mathematics, electrical engineering and neuroscience. Justin Domke blog, on machine learning and computer vision, particularly probabilistic graphical models. Juice Analytics on analytics and visualization. Learning Lover on programming, algorithms with some flashcards for learning. MineThatData Blog by Kevin Hillstrom, views on Multichannel Marketing and Database Marketing. MDMgeek Blog by Prashant Chandramohan, on data management. Magnus Notitia, by Tevfik Kosar on Big data and beyond, data intensive scientific thought. Mydatamine.com, a compilation of links and news for Data Mining geeks. Machine Learning Mastery by Jason Brownlee, on programming & machine learning. Nuit Blanche by Igor Carron, focuses on Compressive Sensing, Advanced Matrix Factorization Techniques, Machine Learning. Occam’s Razor by Avinash Kaushik, examining web analytics and Digital Marketing. OpenGardens, Data Science for Internet of Things (IoT), by Ajit Jaokar. O’reilly Radar O’Reilly Radar, a wide range of research topics and books. Oracle Data Mining Blog, Everything about Oracle Data Mining – News, Technical Information, Opinions, Tips & Tricks. All in One Place. Observational Epidemiology A college professor and a statistical consultant offer their comments, observations and thoughts on applied statistics, higher education and epidemiology. Overcoming bias By Robin Hanson and Eliezer Yudkowsky. Present Statistical analysis in reflections on honesty, signaling, disagreement, forecasting and the far future. Probability & Statistics Blog By Matt Asher, statistics grad student at the University of Toronto. Check out Asher’s Statistics Manifesto. Perpetual Enigma by Prateek Joshi, a computer vision enthusiast writes question-style compelling story reads on machine learning. PracticalLearning by Diego Marinho de Oliveira on Machine Learning, Data Science and Big Data. Predictive Analytics World blog, by Eric Siegel, founder of Predictive Analytics World and Text Analytics World, and Executive Editor of the Predictive Analytics Times, makes the how and why of predictive analytics understandable and captivating. R chart A blog about the R language written by a web application/database developer. R Statistics By Tal Galili, a PhD student in Statistics at the Tel Aviv University who also works as a teaching assistant for several statistics courses in the university. Revolution Analytics hosted, and maintained by Revolution Analytics. Rick Sherman: The Data Doghouse on business and technology of performance management, business intelligence and datawarehousing. Random Ponderings by Yisong Yue, on artificial intelligence, machine learning & statistics. Salford Systems Data Mining and Predictive Analytics Blog, by Dan Steinberg. Sabermetric Research By Phil Burnbaum blogs about statistics in baseball, the stock market, sports predictors and a variety of subjects. Statisfaction A blog by jointly written by PhD students and post-docs from Paris (Université Paris-Dauphine, CREST). Mainly tips and tricks useful in everyday jobs, links to various interesting pages, articles, seminars, etc. Statistically Funny True to its name, epidemiologist Hilda Bastian’s blog is a hilarious account of the science of unbiased health research with the added bonus of cartoons. SAS Analysis, a weekly technical blog about data analysis in SAS. SAS blog on text mining on text mining, voice mining and unstructured data by SAS experts. SAS Programming for Data Mining Applications, by LX, Senior Statistician in Hartford, CT. Shape of Data, presents an intuitive introduction to data analysis algorithms from the perspective of geometry, by Jesse Johnson. Simply Statistics By three biostatistics professors (Jeff Leek, Roger Peng, and Rafa Irizarry) who are fired up about the new era where data are abundant and statisticians are scientists. Stats with Cats By Charlie Kufs has been crunching numbers for over thirty years, first as a hydrogeologist and since the 1990s, as a statistician. His tagline is- when you can’t solve life’s problems with statistics alone. StatsBlog, a blog aggregator focused on statistics-related content, and syndicates posts from contributing blogs via RSS feeds. Steve Miller BI blog, at Information management. Tatvic blog, covering web analytics, R, Google analytics, and related topics. The Mainstream Seer, by Venky Rao. The Official Google Analytics Blog. Unofficial Google Analytics Blog from ROI Revolution. The New Data Scientist Blog on How a Social Scientist Jumps into the World of Big Data. The Guardian, Data Blog By Gaurdian, on news related topics and their analysis based on data. The Bad ScienceBy Dr. Ben Goldacre, an epidemiologist who uses statistics to debunk bad science. The John D. Cook blog John D. Cook is a math professor and consultant who blogs about statistics, analyzing data, problem solving and integrating solution components. Three Toed Sloth A blog written by Professor Cosma Shalizi who teaches statistics at Carnegie Mellon University. What’s the Big Data, by Gil Press. Gil covers the Big Data space and also writes a column on Big Data and Business in Forbes. University of Wisconsin Data Science Blog – Data science blog for news and resources about data science, including interviews and updates about the University of Wisconsin’s program. Xi’an’s Og Blog A blog written by a professor of Statistics at Université Paris Dauphine, mainly centred on computational and Bayesian topics. Feel free to add your preferred blog in the comment bellow. Why don’t you join one of our #datascience trainings in order to sharpen your skills. Special rates apply if you are a job seeker. Jan Wijffels has scheduled a full R course in January. Geert Verstaeten is repeating his executive class on predictive analytics on Dec 3rd. Rik Van Bruggen is organizing a full day of Graphs training with Neo4j. 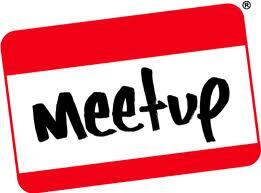 Elie Jesuran is organizing a workshop about building an intelligent twitterbot. Andy Petrella is organizing a 3 day Apache Spark course. Fabien Janssens is doing a hands-on workshop on Elasticsearch. Frank Vanden Berghen is will explain the ins and outs of Timi and Anatella in October. Check out the full agenda here. However, we always welcome applications of junior candidates too! Thanks, and hope to see you thursday! As an experienced data analyst, you are ready to kick-off a new adventure in a fast-paced environment where you can work with the latest machine learning technologies and data science tools. You will be part of our Data Science Team and you are passionate about machine learning and data analysis. Using advanced data analytics, you will form hypotheses and draw meaningful insights about user behavior and user segmentation. As a marketing data scientist, you will explore relations between users and their preferences, discover interesting segments, perform advanced clustering and dimensionality reduction techniques. You will carry out research that will improve our general understanding of our users, and communicate your findings to other team members in order to initiate new platform development cycles. You will apply your statistical and mathematical background to real-life big-data problems, and use your machine learning knowledge on a day to day basis. You will work closely & interact with our Data Engineering Team as your work is used to improve our models and is pushed through our release process. Your main objectives will be the design and implementation of data mining and analysis algorithms and the communication of reports and quality metrics for current production processes. You have a masters degree or PhD in computer science or related field. You are an expert in advanced analytics and are experienced in hypothesis testing. You possess a deep understanding of clustering, manifold learning and predictive modeling techniques. You have good knowledge of and experience with any of Python, Matlab or R.
You have a strong mathematical background and analytical mindset. You are fluent in English. Dutch is a plus. You can work independently and take matters into your own hands. The ability to quickly learn new technologies and successfully implement them is essential. Send your job application today! Please send Sentiance your resume and a strong motivation with reference sentiance/2015/MDS or apply on LinkedIn. Jan Wijffels has scheduled a full R course in September. Geert Verstaeten is repeating his executive class on predictive analytics on Oct 1st. InfoFarm breidt uit en is op zoek naar een nieuwe Data Scientist! InfoFarm is een Data Science bedrijf dat zich toespitst in het opleveren van kwaliteitsvolle Data Science en Big Data oplossingen aan haar klanten. Onze naam danken we aan één van de vele informele brainstormsessies onder collega’s die spontaan tijdens de middagpauze ontstaan. Een gezellige sessie later hadden we de hele analogie met het boerderijleven op poten: we planten ideeën, we ploegen door onze klant zijn data, laten deze groeien met andere data of inzichten en oogsten business waarde door er verschillende (machine learning) technieken op toe te passen. We hebben een uniek team met verscheidene talenten en verschillende achtergronden: Data Scientists (mensen met een onderzoek achtergrond uit een kwantitatieve richting, Big Data Developers (sterk technische Java programmeurs) en Infrastructuurmensen (de bits-and-bytes mensen). Wij ontwikkelen samen geweldige oplossingen voor onze klanten uit verschillende sectoren. Om ons team te versterken zijn we op zoek naar een Big Data Developer. Als Data Scientist exploreer je datasets, verschaf je inzichten en help je klanten actie te ondernemen gebaseerd op deze inzichten. Je werkt zelfstandig of in een gemengd team, ofwel in onze kantoren ofwel in detachering bij de klant. Je bent niet bang om met creatieve oplossingen voor complexe problemen naar voren te treden. Je gidst onze Big Data Developers in het bouwen van Big Data applicaties gebaseerd op de inzichten die jij verkregen hebt. Je zal in verschillende sectoren en omgevingen belanden. De ene dag werk je voor een telecom bedrijf, om de dag nadien het waterzuivering systeem van België beter te leren kennen en ten slotte ook nog een Big Data applicatie in de logistieke sector te bouwen. Bij InfoFarm zijn geen twee projecten gelijkaardig, maar dat schrikt je niet af. Je kijkt er naar uit om bij te leren over verschillende businessen en om nieuwe ontwikkelingen en technologieën op de markt te volgen, alsook om deze opgedane kennis uit te dragen naar onze klanten en binnen het team. Je hebt een master diploma in een kwantitatieve richting (wiskunde, ingenieur, …). Een doctoraat is een pluspunt. Kennis van een data analyse taal (R, Python, …) geeft je een voorsprong. Bereidheid om een van deze talen te leren is een vereiste. Kennis van SQL is een voordeel. Het leren begrijpen van Big Data tools (Hadoop, Hive, Pig, Spark, Spark MLlib, …) schrikt je niet af. Kennis van Java en Scala vormen een meerwaarde. Bekijk de volledige job informatie hieronder en stuur als antwoord je CV naar jobs@infofarm.be! 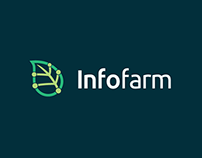 InfoFarm breidt uit en is op zoek naar een nieuwe Big Data Developer! Als Big Data Developer ontwikkel je voornamelijk Big Data applicaties op het Apache Hadoop of Apache Spark platform. Je werkt zelfstandig of in een gemengd team, ofwel in onze kantoren ofwel in detachering bij de klant. Je bent niet bang om met creatieve oplossingen voor complexe problemen naar voren te treden. De ene dag werk je voor een telecom bedrijf, om de dag nadien het waterzuivering systeem van België beter te leren kennen en ten slotte ook nog een Big Data applicatie in de logistieke sector te bouwen. Bij InfoFarm zijn geen twee projecten gelijkaardig, maar dat schrikt je niet af. Je kijkt er naar uit om bij te leren over verschillende businessen en om nieuwe ontwikkelingen en technologieën op de markt te volgen, alsook om deze opgedane kennis uit te dragen naar onze klanten en binnen het team. Je hebt minstens 2-3 jaar ervaring met Java ontwikkeling. Certificaties vormen een meerwaarde. Je kan werken met Maven, Spring of EJB en één of meer RDBMS. Kennis van Hadoop, Hive en Pig zijn een pluspunt, net als kennis van Spark en Spark MLlib. Bereidheid om je te certifiëren in een van deze domeinen is noodzakelijk. Kennis van R en Scala zijn een voordeel. Je hebt op zijn minst een Bachelor in Applied Computer Sciences. Jo Buyl shared this job opportunity with us for a Big Data Scientist. In the era of Big Data, data is not useful until we identify patterns, apply context and intelligence. The data scientist, as an emerging career path, is at the core of organizational success with Big Data and for humanizing the data to help businesses better understands their consumer. As a data scientist, you sift through the explosion of data to discover what the data is telling you. You figure out “what questions to ask” so that relevant information hidden in the large volumes and varieties of data can be extracted. The Data Scientist will be responsible for designing and implementing processes and layouts for complex, large-scale data sets used for modeling, data mining, and research purposes. Exhibit Creativity and resourcefulness at problem solving while collaborating and working effectively with best in class designers, engineers of different technical backgrounds, architects and product managers. You are willing to travel up to five days per month. The successful candidate should have 5+ years experience in large-scale software development, with at least 3 years in Hadoop. Have a strong cross-functional technical background, excellent written/oral communication skills, and a willingness and capacity to expand their leadership and technical skills. 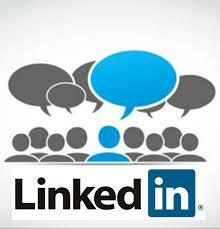 Upload your resume or send it to jobs@ngdata.com. We look forward to your application! Big Industries (a Cronos Company) works together with you to translate your ideas into workable Big Data solutions that will create measurable value for your organisation. Implementing the solution using proven big data technologies from industry leading vendors, integrating only the most appropriate, effective and sustainable technologies to deliver best-in-class products and services. Big Industries helps to assess, identify and integrate effective refinements in order to increase the value that big data solutions bring. We are fulfillment partners for Cloudera and MapR, the premiere Hadoop distributions, for BeLux and offer expert consulting, systems integration and tailored application development with knowledge and experience across a broad range of industries. As a Big Data Developer you will work in a team building big data solutions. You will be developing, maintaining, testing and evaluating big data solutions within organisations. Generally you will be working on implementing complex and large scale big data projects with a focus on collecting, parsing, managing, analysing and visualizing large datasets to turn raw data into insights using multiple toolsets, techniques and platforms. Team player – embraces change, able to adapt to working in varied software delivery environments. 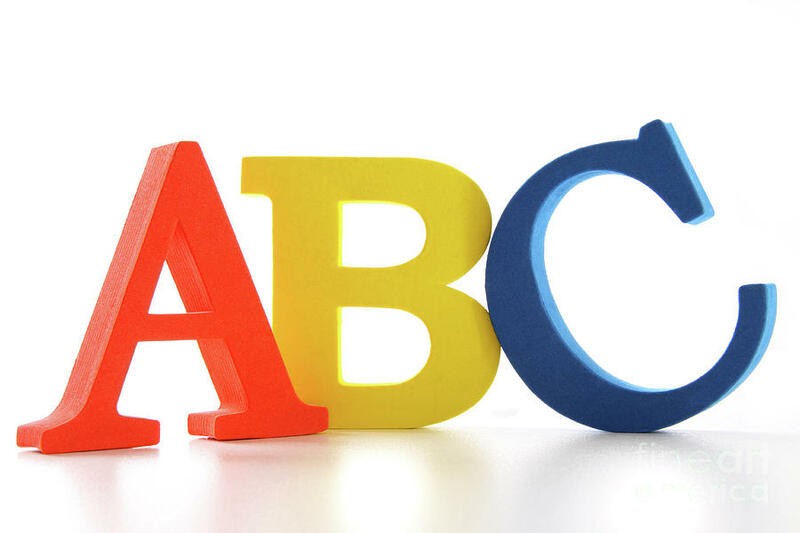 Can-do attitude, pragmatic, results-oriented – lateral thinker. Computing or Mathematics diploma, or 4 years experience active work experience within systems integration teams. Thorough understanding of Java, and solid grasp of software development best practises. Experience using hadoop and related technologies (eg. pig, hive, spark, impala), ideally with popular hadoop data processing pipeline patterns and technologies (cascading, crunch, oozie). Willing to work to become Cloudera Developer certified. Development exposure on both cloud and classic compute environments. Very good Linux systems and Linux shell scripting knowledge. Here is the original jobpost . 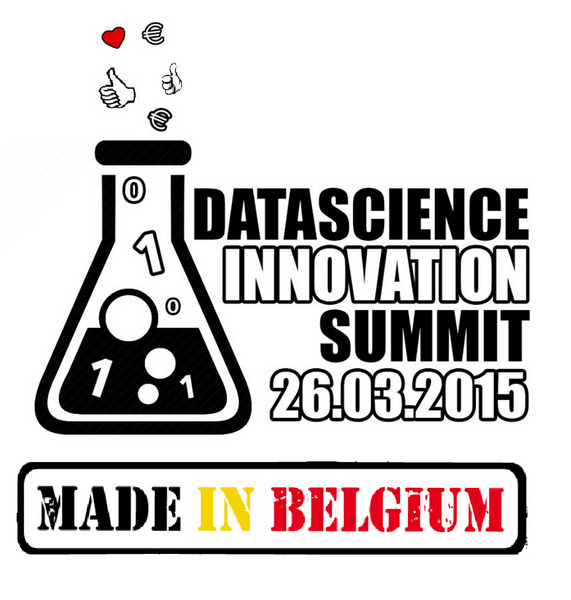 Contact Matthias Vallaey matthias.vallaey@bigindustries.be (+32 496 57 66 27). Here is an other request for a Hadoop expert, over the past months we have seen many similar requests. We will organize a 3 days Hadoop introduction training mid March. If you are interested to attend this training please send an email to pvanimpe@gmail.com . ING Belgium is, as the first universal direct bank, a strong player on the Belgian market. The bank provides its customers with a wide range of financial products and services via the distribution channel of their choice (click and face). Customers of ING Belgium are as well retail and private banking clients, as well as small, medium and large enterprises. ING IT employs up to 9,000 IT professionals from the Netherlands and Belgium. Within each business unit of ING you will meet our IT people. All these IT specialists have an important role: in a highly complex and dynamic world, the IT people make the bank work. … a position in which you actively take part in the design and innovative usage of a state-of-the art Big Data solution to enable ING’s business lines to gain new insights from the wide variety of data available in the bank? … a position in which you will experience first-hand that data is the oil of the 21st century, and (advanced) analytics the combustion engine? … a position in which you will continuously share new experiences and develop yourself further in the Big Data domain? • … a good knowledge of English. A good command of French and/or Dutch is considered as an asset. 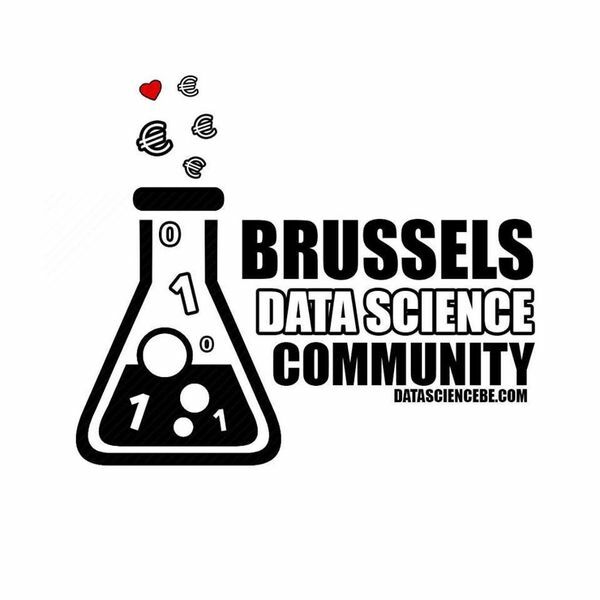 Make sure you are a member of the Brussels Data Science Community linkedin group before you apply. Join here.